50+ Homemade Valentine's Day Treats | Glitter, Inc.
Homemade Valentine’s Day treats are some of my absolute favorites to make, so if you’re looking for a little recipe inspiration to celebrate love, we have the ultimate list with more than 50+ incredible recipes to try this February. It’s no secret that I love baking up delicious treats, and Valentine’s Day is no exception! If anything, there are even more amazing baked goodies to try my hand at during the month of LOVE. So today, because baking is totally jam (nerdy baking pun shamelessly intended), I’m sharing the ultimate list of 50+ recipes for homemade Valentine’s Day treats everyone should try. We’re talking more than 50+ mouth-watering cakes, donuts, cookies, cupcakes, pies, bars, cakes, candies, and sweet treats that both adults and kids will love. 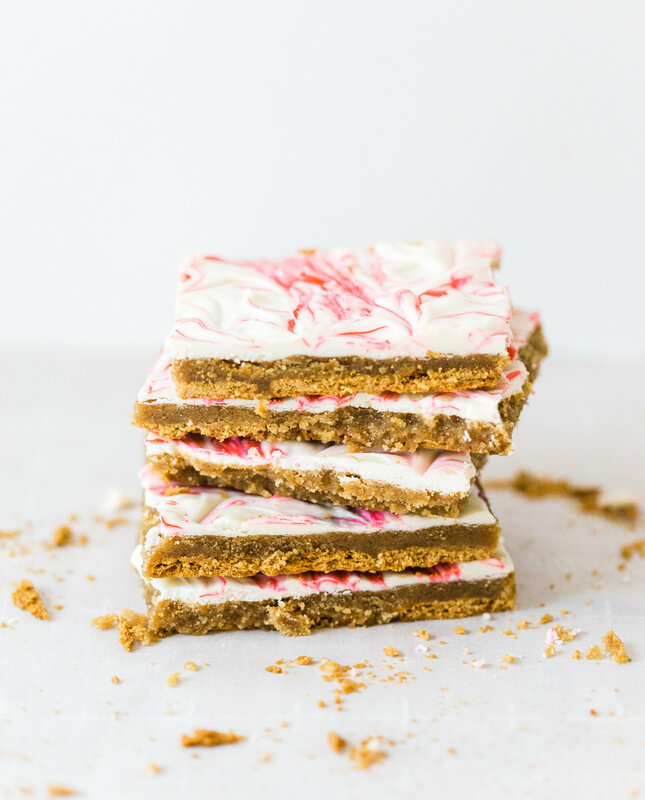 I’ve been pulling together and making these Valentine recipes for years both for our family and as Valentine’s day gifts for teachers and friends, with some of my favorites here on my Valentine’s Day Pinterest Board, and I’m finally sharing them all here in one place. 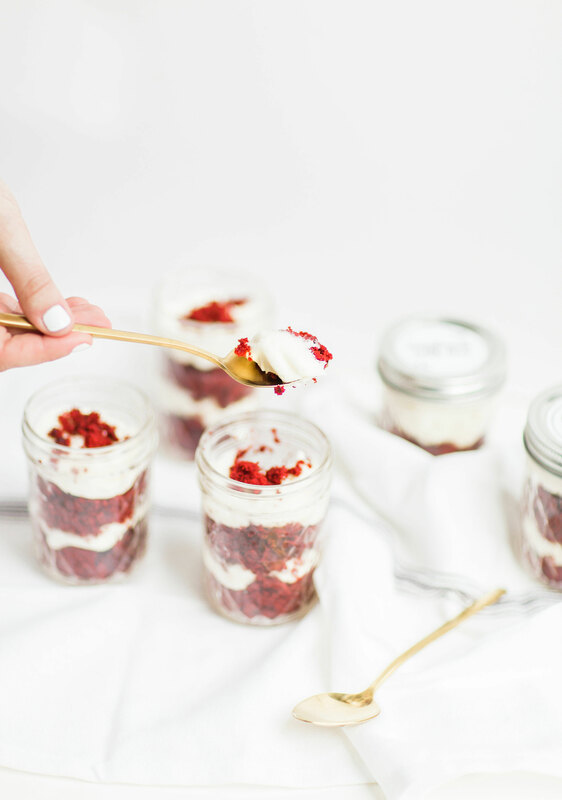 I also have tons of Valentine’s Day recipes on my site – because, duh – so I’m sharing them all here so that everyone can easily access them. And, most importantly, I want to know what recipes I should add to this list! Post in the comments your absolute favorite Valentine’s Day recipes so that I can make them and share away! For extra easy cupcake assembly, try cupcakes in a jar! By the way, this is my absolute favorite red velvet cake (and cream cheese frosting combination) recipe EVER. The name says it all. These rich and gooey brownies are everything a perfect brownie should be, plus a splash of red wine. Yassssssss. Make the confetti cookie cups with pink and red sprinkles for a perfect Valentine’s Day sweet treat. Oh yeah, you read that right. And they’re amazing. We used pink pop rocks instead of sprinkles one year and they turned out SO cute! Such a fun sweet treat. Top this one with ice cream! I cannot say enough good things about these buttery chocolate chunk shortbread cookies. They’re instagram famous for a reason. These are so simple to make and our girls totally love them. 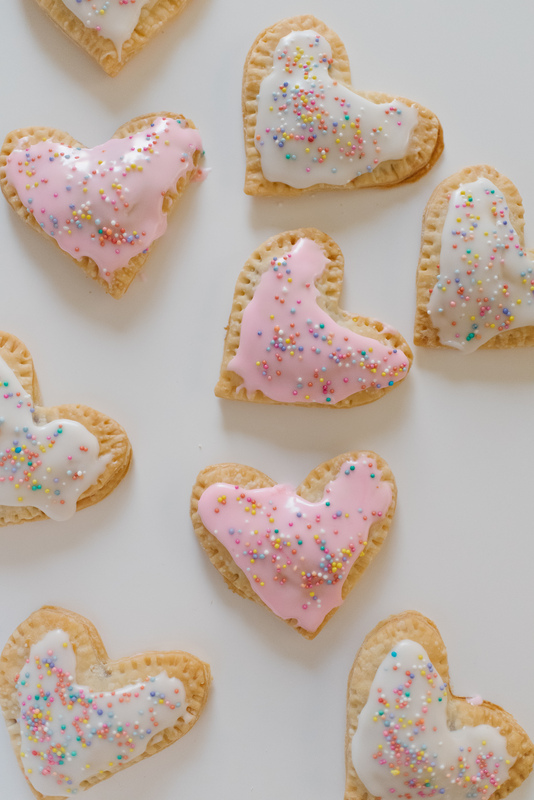 My friend Caitlin actually made Heart Shaped Valentine’s Day Pop Tarts using the same ingredients and I adore the idea of making them heart-shaped using a heart shaped cookie cutter! Kids will love making their own Valentine’s Day pop tarts. How beautiful are these preppy Valentine’s Day cookies?! This is really just a delicious twist on classic chocolate covered strawberries. Adding Nutella to your melted chocolate = brilliant. Wrap a few up as gifts; they make the perfect Valentine. This one is SUPER yummy and moist, packed with fresh strawberries, totally pink, and a blast to make with kids. 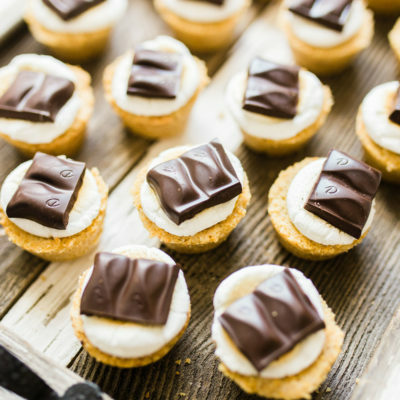 These are a total crowd-pleaser and have been one of my more popular dessert recipes as of late. Thick, buttery, gooey, and decadent – these chunky chocolate chip cookies were practically MADE for Valentine’s Day. Not only are macarons delicious and beautiful, but with our super helpful video, you can get the hang of making these impressive desserts in no time. I wish I could properly put into words how amazing this chocolate chip snack cake is. Or how decadent it is. Or how something so simple could taste so darn good. Bottom line: you haaaave to try it. This recipe is awesome. We make big batches of these for parties all of the time because they are just SO good. This homemade treat is simple to make, but looks really impressive! This is a fun one to make and decorate, and also doubles as a great gift since it’s so transportable. My husband is a huge fan of the white chocolate and caramel coating. I’m smitten with this quick strawberry bread. It is heavenly. These are great for holidays like Valentine’s Day because you can decorate them any way you like! This is another fun sweet treat to make with the kids. They love chaking up the mix (and coating everything with powdered sugar!) I love the sweet and salty combination of chocolate and peanut butter. YUM. Rich, decadent, salty and sweet, these chocolatey cookies are a total crowd-pleaser. I love this classic nostalgic recipe for parties and to make with little ones because kids love them! 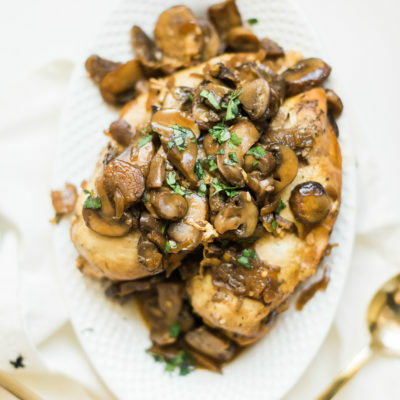 This might be my favorite recipe on this list. These are so good, and perfect for Valentine’s weekend brunch. I love the idea of making these red velvet pancakes to celebrate V-day over the weekend with kids! Find More Valentine’s Day Recipes on Pinterest HERE. Love these Valentine’s Day recipes? 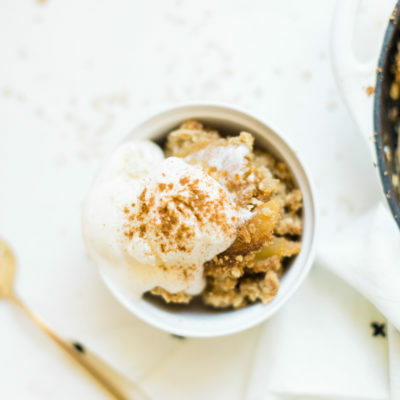 Head to our recipe page to check out what else we’re dreaming up in the kitchen!